Every time you visit our website your IP (Internet Protocol) address registers on our servers. Your IP address reveals no information other than the number assigned to you. We do not use this technology to get any personal information against your knowledge or free will. We will not use it for any purpose other than to help us monitor traffic on our website, or (in case of criminal activity or misuse of our information) to cooperate with law enforcement. When you submit personal information through one of our contact forms we will use the information only to fulfill your request and contact you. Your personal information will not be passed on to any third party without asking you first. These are necessary for the website to function. They are usually only set in response to actions made by you, for example, to a request made for services, such as filling in forms. You can set your browser to block or alert you about these cookies, but this can prevent some parts of the website from functioning properly. These cookies do not store any personally identifiable information. These allow us to count visits and traffic sources so we can measure and improve the performance of our website. They help us monitor which pages are the most and least popular and see how visitors move around the website. All information these cookies collect is anonymous. If you do not allow these cookies, we will be unable to monitor the performance of our website accurately. These cookies enable the website to provide personalisation and enhanced functionality. 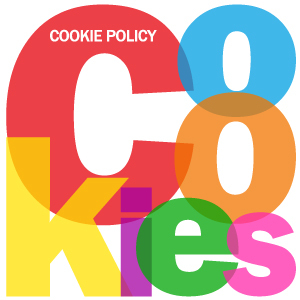 These cookies may be set by us or sometimes by third party providers whose services we have added to our pages. Disabling these cookies can result in some or all of these services not functioning properly. These cookies can be set through our site by our advertising partners. They may be used by those companies to build a profile of your interests and show you relevant adverts and interests on other sites you may visit. They do not store any personally identifiable information, but are based on identifying your browser and the internet device you are using. If you do not allow these cookies, you will experience less targeted advertising. The table below describes the cookies we currently use on this website and what we use them for. We operate an ‘implied consent’ policy which means that we assume you are happy with this usage. If you are not happy, then you should either not use this website, or you should delete the cookies, or you should browse the website anonymously using your browser’s usage setting (called “Incognito” in Chrome, “Private Browsing” in Firefox and Safari, “InPrivate” for Microsoft Edge, etc).